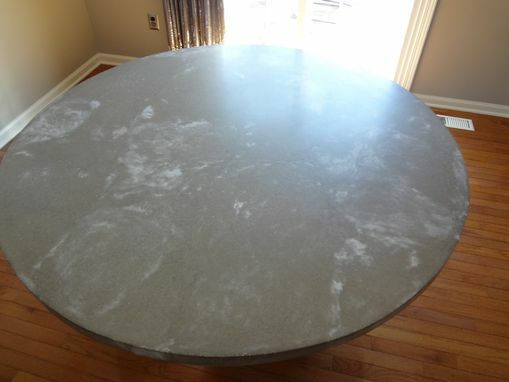 Two tone gray and white concrete mixed, 54" circle top with steel base. 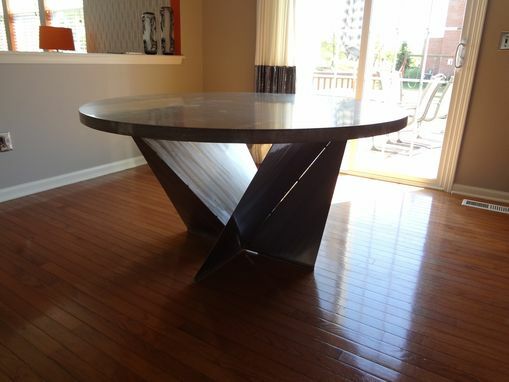 Made as a kitchen table, the style is modern. 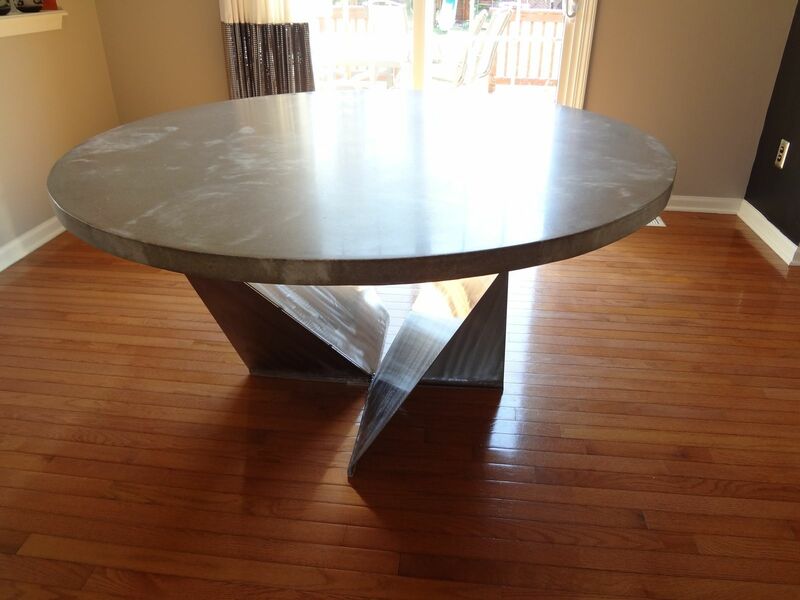 Dimensions: Table top is 54" stand is steel one piece, and stands about 29' tall and is about 30 inches around.